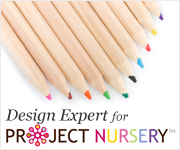 Nursery Notations: A Smart BabyMonitor on your Phone! 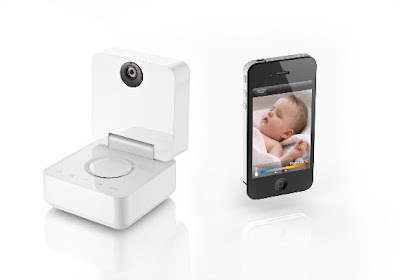 Unveiled last week in Las Vegas at CES, the company Withings has developed a Smart Baby Monitor. This is basically a way for you to be able to watch your baby live from your SmartPhone. You have access to night vision and can even measure the temperature and humidity in the room and set personal alarms & stream music for your baby to listen to. The monitor uses networks such as Wi-Fi or Bluetooth on real-time data devices such as iPhones, iPads, SmartPhones & LCD TVs to transmit the data from the monitor to the parent. The device is scheduled to be available in late March. (Wonder if they will sell these at the Mac store?) For more information visit the Withings blog or CNET. That is a great invention! I have a two and four year old, I might have to use this for them! I think it would be a great way to keep track of at teenager sneaking out too :)!